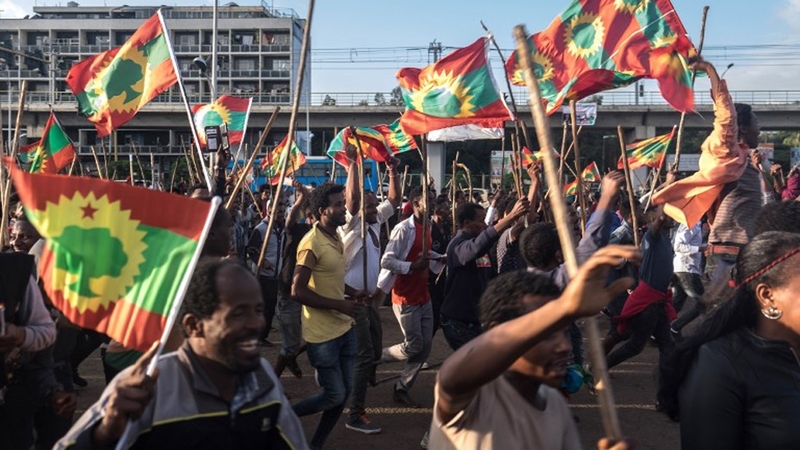 Thousands of people have taken to the streets of the Ethiopian capital to express their anger after a weekend of deadly ethnically-motivated violence. 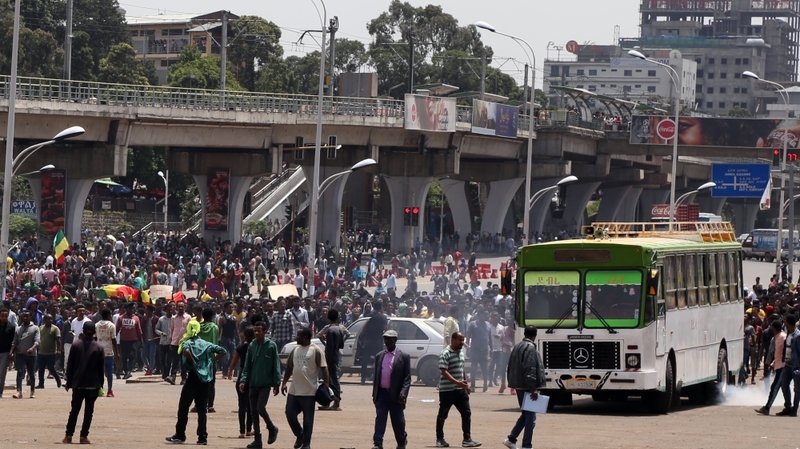 On Monday, protesters blocked roads and shut businesses as they waved flags and jogged through neighbourhoods across Addis Ababa to denounce the weekend killings in the Burayu suburb. Some demonstrators criticised Abiy for the first time since he took office in April and started ushering in a number of reforms. “We demand justice,” some of the rally-goers chanted as they passed by the office on Abiy, who is the first Oromo to hold the office of prime minister..
“Mobs of ethnic Oromo youth then marched here in Ashwa Meda and attacked our homes and looted businesses chanting ‘leave our land’,” Hassan Ibrahim, a trader told Reuters news agency. The Ethiopian government has denounced the violence. “Prime Minister Abiy Ahmed strongly condemns the killings and acts of violence against innocent citizens,” Fitsum Arega, the prime minister’s chief of staff, said in a tweet. The Oromo, Ethiopia’s largest ethnic group who make up about a third of the population, have long complained of being marginalised during decades of authoritarian rule by governments led by politicians from other smaller ethnic groups. Abiy’s predecessor, Hailemariam Desalegn, resigned in February following violent anti-government protests that had swept the Oromo heartland for two years. But Abiy’s reforms have yet to halt ethnic violence.